A steaming year at Cadenza Lab has seen an array of hypnotic, forward-thinking and floor shaking beats released that have pushed the label into a highly reputable category. 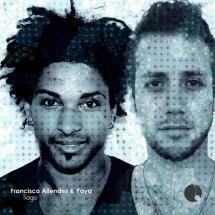 Closing 2011 with a cut above the rest, Candenza Lab delivers Tiago from Francisco Allendes and Yaya to seal the deal. Francisco Allendes made his first steps with Cadenza in 2009 with the Llovizna EP; so impressed were the label that they invited him back again in 2010 alongside Marcello Rosselot for Catrancia. As the old proverb says, “all good things come in threeʼs” and Francisco is back on Cadenza Lab in 2011, this time appearing with Desolat favourite and rising talent Yaya. Rough elegance immediately springs to mind when hearing title track Tiago – its tatty edges and vintage allure encase what is in fact, a polished and contemporary production. Swelling beds of muffled synths, slick hi-hat taps and clad percussion create the past while the bouncing springs and modern manipulation of vocals ensure the future in this deep house bomb. There are hidden gems around every corner as Tiago develops its chanting song and groove ridden bass into a see-saw of old and new. Making a grand entrance as Aurora, our second EP track swallows from the ground with a rumbling sub-bass. Holding down its first impressions, the extravagance continues as a concoction of warped and humorous vocals exchange over random guitar plucks, reversed samples and a rolling groove. Cut to the piece de résistance though, and an immense solo organ melody wraps itself jazzily around Aurora until the irresistible break hurtles back into the rhythm. Dirty tech house with a beating heart is up last as Tiago Beats vocal taunts provide texture, tone and pitch in a collective rhythm. Underpinned by the dark stab of the bassline, the chaotic injection of sound bites and carefully placed instrumentation, Tiago Beats closes Cadenza Labʼs eighth output with a unique and finely arranged track.